Hand stitching binding down today, last step and MY least favorite. But so...worth it. 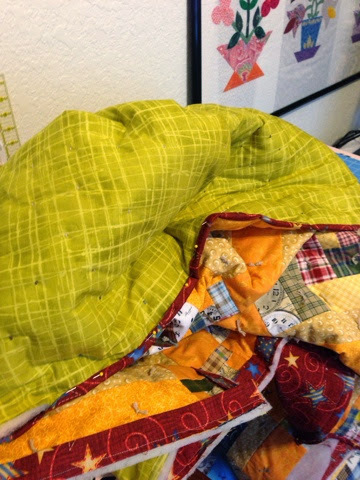 I'll share quilt pictures 2015. It' the pattern of the month quilt. A HUGE check off my to do list! Happy Wednesday.